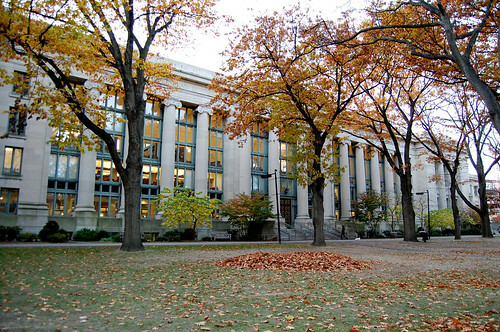 If you've been admitted to the HLS class of 2017, then this is the right place for you! Congratulations! Hotels in the area tend to be $200-$250. The Sheraton Commander has some sort of special deal for pre-paid rooms. Hotel Veritas had rooms around $200. There may also be b&b’s in Cambridge for ~$125-175/night. Some posters recommend airbnb instead, as that tends to be much cheaper. Close to campus runs $80-$100. Further out will find $60/night. HLS will provide reimbursement up to $300, but seems to be tied to need-based aid. There is a mixed impression. Most people say don’t bring a car because parking is a nightmare. However, if you really do want a car, the process of getting a Cambridge parking permit is apparently rather easy. You can usually get an uncovered parking spot near your off-campus residence for ~$150/month. Everett Street Garage (right next to campus) will cost you $2200/year (2011). There are 3 types of options around HLS: dorms, Harvard apartments (HUH), and off-campus apartments. Note: All dorms come fully furnished. They are available for 9-month leases, no extra fees, all utilities included. More info here (LinkRemoved). Gropius (~$770-$1,260) all singles, shared bathroom and kitchens. No AC, twin beds. Was recently renovated, so may be nicer than the photos suggest. In-depth TLS analysis of the buildings and rooms. Hastings (~$1,185-$15,30) studios, 1BR and 2BR suites, shared bathroom and kitchens. No AC, twin beds. North (~$1,230-$1,600) hotel-style singles and 2BR suites, private baths, shared kitchens. AC included. Will be renovated during the summer, so who knows what it will look like in the fall. HLS Apartments (~$1,375-$2,000) studios and singles in houses, private and shared baths, shared kitchens. Cronkhite Center ($1,140-1,450) Technically this is HUH, but the rooms are essentially dorm rooms like Gropius. These rooms are open to the entire university. Note: These rooms do not come furnished. They are available for 1-year leases, then 9-months when you’re a 3L. Subletting tends to be easy over the summer. No extra fees, all utilities included. More info here. Terry Terrace (~$1,200-$2,100) Right across from the WCC, studios, 1BR and 2BR, private bathroom and kitchen. 29 Garden Street (~$1,000-$2,200) A few blocks west of the law campus, studios, 1BR, 2BR, and 3BR, private bathroom and kitchen. 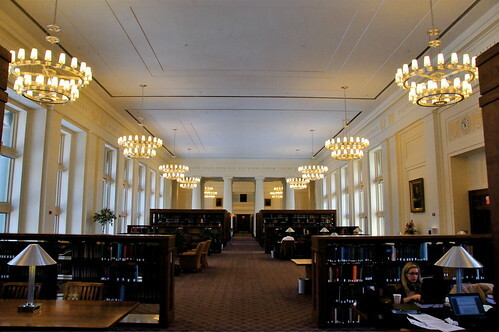 There are many other options around the campus, but the above two are the closest and most popular among law students. More HUH apartments can be found here. Here’s HLS’s summary of the neighborhoods around Cambridge. Inman Square: East of campus (10-15min by foot, 20 by train). Note that in Boston, you will often have to pay the first and last month’s rent as a deposit, plus a broker fee equal to month’s rent. Leases are 1yr, tend to start 9/1, and not all landlords will allow you to sublet over the summer. When to look: Late May, June, or July. If you want to live off-campus, you will probably want to get a broker whose fees will usually be equal to the first month of rent. Some of the best apartments seem to get signed during ASW, so if you find something you like, jump on it quickly. What price is right: You probably won’t be able to find anything for less than $1000/month unless you want to live underground or get a roommate. However, the further from campus you go, the cheaper it will be. Renter’s Insurance: Policies were around $150 in 2011 for a 1 BR apartment. Walk around, try to get lucky. Is difficult, but often nets the best results. HLS List: Current students are posting their flats here. It’s flooded with summer sublets right now, but a few people are looking for roommates for next year. Craigslist: Lots of postings, just watch out for scams. Harvard has a multitude of ways to find roommates, so I’ll list a few here. HRES Roommate Click: Extremely cumbersome, but has the widest reach of any roommate service. Run by Harvard, this is available to all university students. Law students have used it in the past to find roommates, and this option is especially good if you would prefer to live with a non-HLS students. [url=roomie2roomie.com]Roomie2Roomie[/url] I don’t have much info on this. It appears to be a new system set up by HBS students. Kind of like OkCupid for roommates. I’ll update this when they’ve sent me my matches. Relax. This fall’s going to be hella fun/stressful. DON'T READ BLUEBOOKS OR CASE STUDIES. Nobody recommends doing this. Note: I compiled this information from the HLS website, the advice given in this thread, and in the 'Ask a HLS Student' thread. I did my best to be accurate, but shoot me a pm if anything seems wrong. As more info comes out, I'll continue to edit this post. Last edited by HorseThief on Fri Aug 08, 2014 11:00 am, edited 32 times in total. Yahoo!! Harvard Class of 2017. I never thought I would be able to say I was included in this group. Congratualtions to all of us and to the future admits! ETA: Horsethief, the reason it doesn't show up is because you can't post images until you have 100 posts. So..start posting! Last edited by The-Specs on Tue Nov 26, 2013 3:38 pm, edited 1 time in total. The-Specs wrote: ETA: Horsethief, the reason it doesn't show up is because you can't post images until you have 100 posts. So..start posting! Ha, better start spamming. Like this one! Specs, you are a lovely person. Did you know that? HorseThief wrote: Specs, you are a lovely person. Did you know that? I didn't, but thank you for saying so. Me?!? I think you both must be refering to someone else. All of that aside, this is going to be great. Last edited by The-Specs on Tue Nov 26, 2013 3:39 pm, edited 1 time in total. Last edited by t-14orbust on Tue Nov 26, 2013 3:29 pm, edited 1 time in total. So does Harvard include any neat gifts in the acceptance packets? Sourrudedude wrote: So does Harvard include any neat gifts in the acceptance packets? Idk about the packets but as deposit deadlines near I believe they send out signed books. I just want to be wined and dined. Just want to drop by and say hello. And welcome to Boston/Cambridge! Looks like the gifts start early this year. Checking In. I'm so excited that I'll be staying in Massachusetts for law school. You are all going to love Cambridge and Boston! Can't wait to meet you all at ASW ! I'm certain that I'll choose HLS for the fall. I'm excited for ASW and just so relieved that the pressure of the admissions cycle is all over for me. I was getting pretty antsy hearing about JS2s being imminent, and I'm relieved it was all over and all positive so quickly. Checking in. Thrilled to be (most likely) attending HLS, and excited to meet all of you at ASW! Ecstatic to be able to check in here. Dream come true. Such a good day, everyone. Savor this moment.